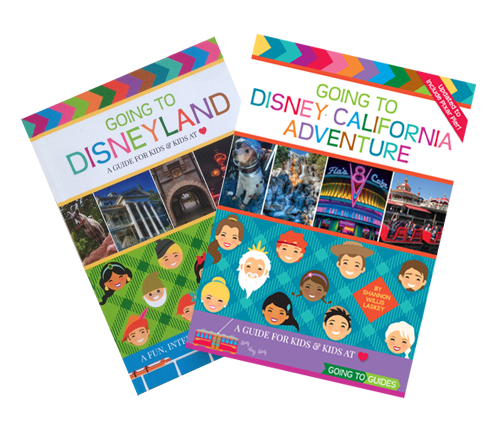 There are 3 books: “Going To Magic Kingdom” for the park in Florida’s Walt Disney World and “Going To Disney California Adventure” and “Going To Disneyland” for the two parks that make up the Disneyland Resort in California. 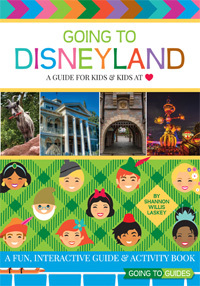 All books arrive autographed by Author Shannon W. Laskey. If you would like your book inscribed to a specific name, please include that info in the box near the “BUY NOW” button. The book has a built-in bookplate and the name will be written there in author Shannon Laskey’s swirly whirly handwriting. 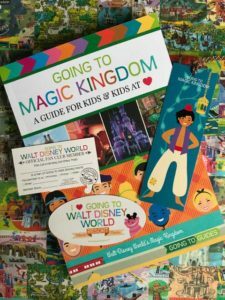 Be sure to specify if you want “extra super duper swirly whirly.” 🙂 A free bookmark, sticker and Official Fan Club card will be included in all orders while supplies last. Go to the bottom of the page if you are ordering 2 books to save on mailing costs – we will send the two books in one shipment. Feel free to mix n’ match your own two book combo – just let us know in your order comments or email lady@goingtoguides.com. ORDERING THREE OR MORE BOOKS? We can only fit 2 books into one Priority Mail envelope. If you are ordering three books, you can avoid paying three shipping fees by ordering 1 one-book order and 1 two-book order (therefore only paying two shipping fees). If you’re ordering more than three books, keep in mind the maximum number that can be shipping together is two so please order as many 2-book orders as you need. GOING TO FLORIDA? 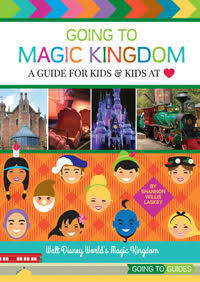 Magic Kingdom is in Florida’s Walt Disney World Resort. Click the “BUY NOW” PayPal button to purchase an autographed paperback edition directly from the Publisher, Orchard Hill Press, for $23.95 plus $6.55 shipping and handling. US Shipping only via USPS Priority Mail. If you need International shipping or are looking for an unsigned paperback, hardback or e-book, please visit Amazon. Paperbacks and hardbacks also available at Barnes & Noble. GOING TO CALIFORNIA? Disney California Adventure is one of the two parks in California’s Disneyland Resort. 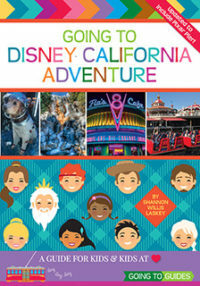 This book is the second edition and is fully updated for 2019 to include Pixar Pier and all the exciting recent changes to the park. Click the “BUY NOW” PayPal button to purchase an autographed paperback edition directly from the Publisher, Orchard Hill Press, for $23.95 plus $6.55 shipping and handling. US Shipping only via USPS Priority Mail. If you need International shipping or are looking for an unsigned paperback, hardback or e-book, please visit Amazon. Paperbacks and hardbacks also available at Barnes & Noble. A few copies of the first edition of this book which came out in 2016 are still available on Amazon if you’re interested. GOING TO CALIFORNIA? Disneyland is one of the two parks in California’s Disneyland Resort. Click the “BUY NOW” PayPal button to purchase an autographed paperback edition directly from the Publisher, Orchard Hill Press, for $23.95 plus $6.55 shipping and handling. US Shipping only via USPS Priority Mail. Click the “BUY NOW” PayPal button to purchase two autographed paperback editions directly from the Publisher, Orchard Hill Press, for $47.90 ($23.95 x 2) plus $6.55 shipping and handling. US Shipping only via USPS Priority Mail. 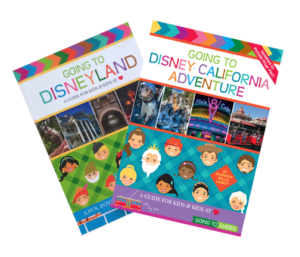 PLEASE be sure to specify which two books you want (“Going To Disneyland,” “Going To Disney California Adventure” or “Going To Magic Kingdom” in your order comments or via email to lady@goingtoguides.com – thanks!